Puilboreau is located on the mountain hillsides north of Gonaives, Haiti along Route 1. There has been no foreign aid in this areas and very little development. Most locals depend on agriculture which has been declining due to drought and insufficent farming methods. 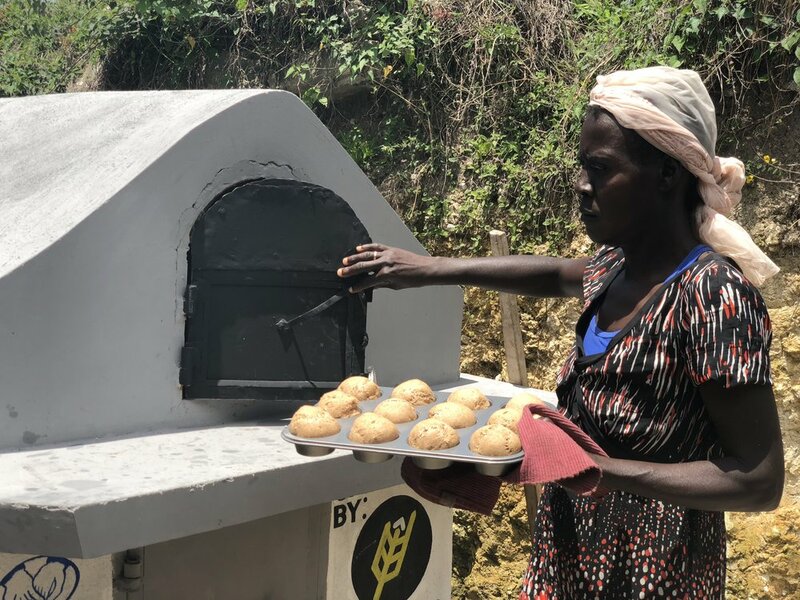 With the leadership of Pastor Jeannot, the local community has pooled its resources to create a commercial grind mill to help bring sustainable income. Route 3 is also being developed to give access from Gonaives to Cap Haitien in the north. This summer we are focusing on improving the facility as the enrollment of students has increased as well as the bread program. Improvements to the facility will include building new front steps, chalkboards and student benches, painting, and purchasing teacher uniforms. By building new front steps, we are able to provide a safe environment. Building chalkboards, benches, and painting the classroom walls will create exciting learning environments. Purchasing teacher uniforms will create a sense of unity and will model professionalism for students. Meet the staff . (from left to right) Ojasma Saint-Phat, Josner Similien, Jeannot Sainfat, Ketlie Sainfat, Jonex Mercellus , Brenord Filsaime. With Pastor Jeannot's leadership, the school is fully staffed and running smoothly. The teachers and administrative staff are investing in the children. The team that has been growing and is passionate about the next generation. They are going above and beyond their daily responsibilities. They are continuously seeing the result of the bread progam as the children are more engaged and enthusiastic to learn. The Bread Oven has been built and the Feeding program is ready to begin early 2018. This includes baker training, organizing the supply chain, and quality control. Construction began with placing a new roof on the building. There was also repair of a diesel commercial grinder that was an existing local business the community had invested in. Construction to complete the church/ school building include a concrete floor, plaster and paint. The church building was built over the course of 14 years with the resources of the people and Pastor Jeannot personal investment. The school of 96 children was meeting in building with a make-shift roof and dirt floor. Pastor Jeannot Sainfat is a trained lawyer & agricultural technician and serves the village of Puilboreau, Haiti as a Pastor, School Director, and community leader.